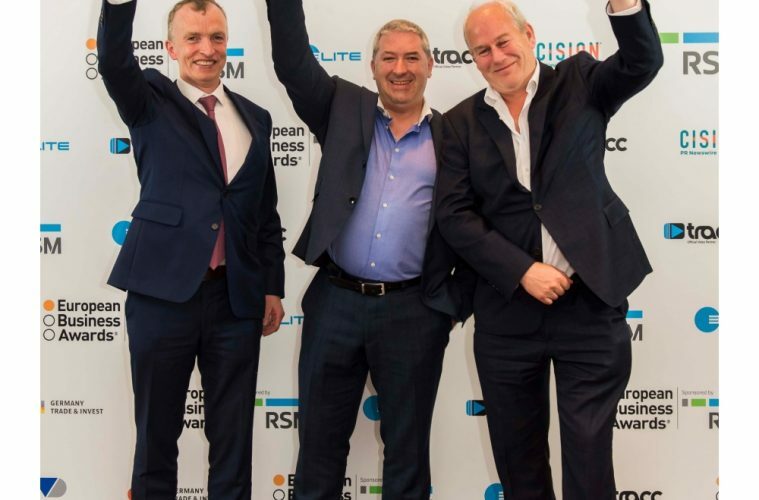 Prepaid Financial Services Limited (PFS) has been unveiled as the overall RSM European Business Awards Digital Technology Award winner at a prestigious two-day live judging event and awards gala in Warsaw. The award celebrates the remarkable business achievements of PFS in Europe’s largest and most distinguished business competition which attracted over 112,000 entrants from 34 countries. PFS is based in the IDA Ireland Navan Business and Technology Park. “Our winners are the gold standard for business excellence. They are also powerful examples of the growth potential for European business in today’s highly competitive global marketplace. They deserve their success and we wish them well,” stated Adrian Tripp, CEO of the European Business Awards. “At RSM, we believe it is important to support and champion business growth in Europe. The successful companies at this event are a showcase of extraordinary entrepreneurialism, innovation and leadership and are each playing a part in driving growth in their economies. All those involved are a credit to their country and we wish them every success for the future,” expressed Jean Stephens, CEO at RSM International. “Winning this award is our greatest achievement to date. To hear from the stage that the esteemed judging panel was in awe of our success was an incredible moment for everyone at PFS. I dedicate this major award to our amazing employees who have helped to make us Europe’s No.1 digital technology company,” said Noel Moran, CEO at PFS. “The incredible feedback from the judges is a reflection of the scale of the growth that PFS has experienced over the past decade. This is an enormous honour for our company and staff and we commit to continuing to uphold the highest standards of the awards as 2017/2018 overall winners,” commented Lee Britton, Commercial Director at PFS.